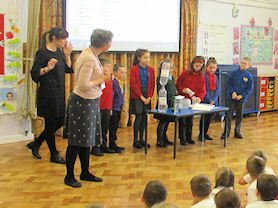 The children were Scientists for the week exploring and investigating the wonderful world of Science through investigations, experiments and Workshops. 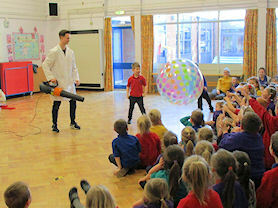 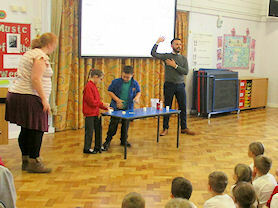 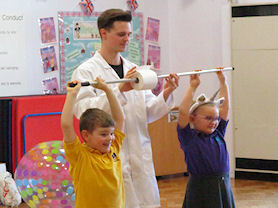 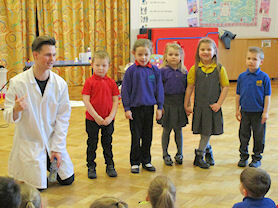 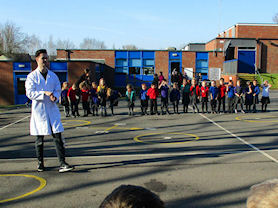 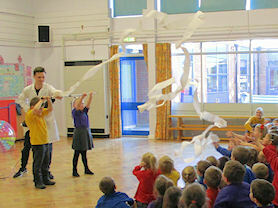 The whole school were enthralled by a visiting Scientist who got the children fully involved with 'hands on' experiments including a gigantic beach ball, a garden vacuum and a hair dryer with ping pong balls! 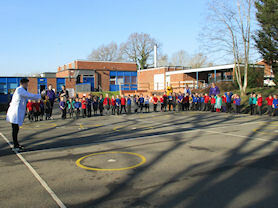 We finished the week with each class presenting to the whole school all the learning that had taken place that week.